Jongjin Park (Personal show 2017). Wouter Dam (The Netherlands- 1957) After an absence of almost four years, Wouter Dam is returning to Puls bringing with him a series of new sculptures named Cornucopia’s. 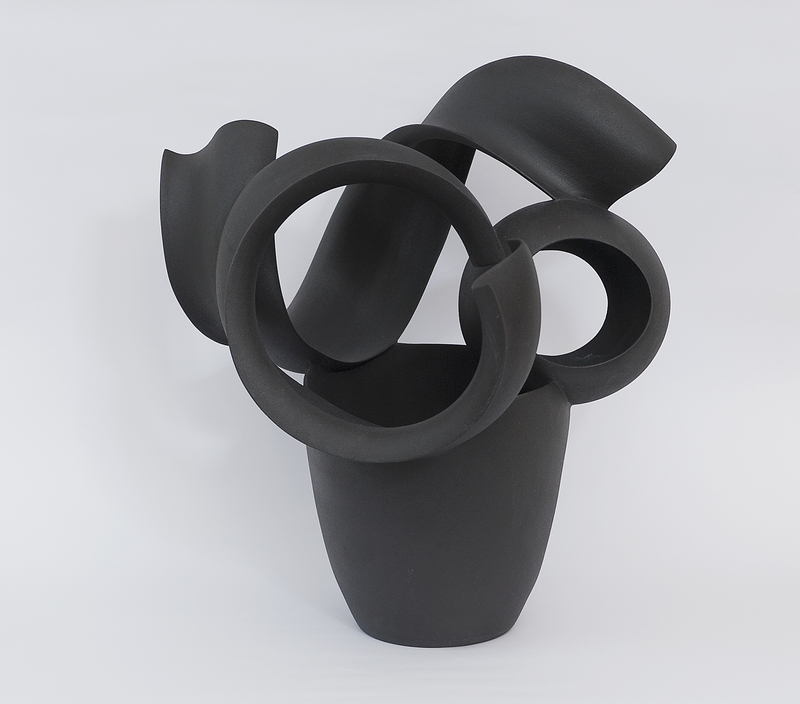 This latest work has evolved from the desire to bring the sculpture “upwards”, creating an elevated form which allows the viewer to look ‘through’ rather than ‘at’ the work. Included in the show are his radiant coloured wall hangings, each placed against a contrasting background to frame the piece and to make it ‘pop’. While sizeable these curvy works appear light and airy as if they could be ruffled or blown away by wind. In Dam’s work all emphasis is on form. His signature assemblage of different thrown pieces and added slabs has over the years become more complex. Despite appearances, one can still trace back the making process to the potter’s wheel. 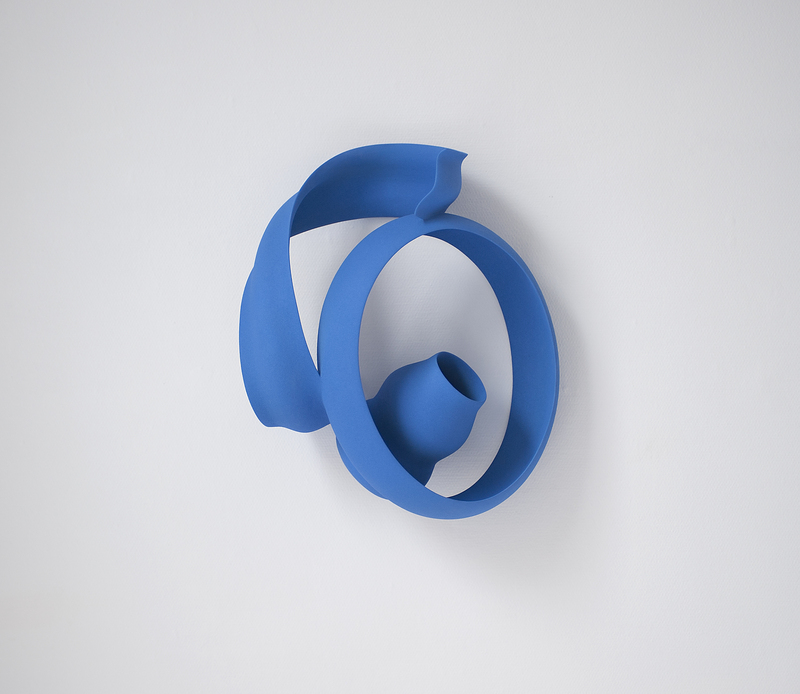 With this new work he has almost separated each element of the traditional vessel to reassemble as a sculpture. Dam graduated from The Gerrit Rietveld Academy in Amsterdam in 1980. It was there where he began this exploration of shape and volume, which continues to fascinate him today. 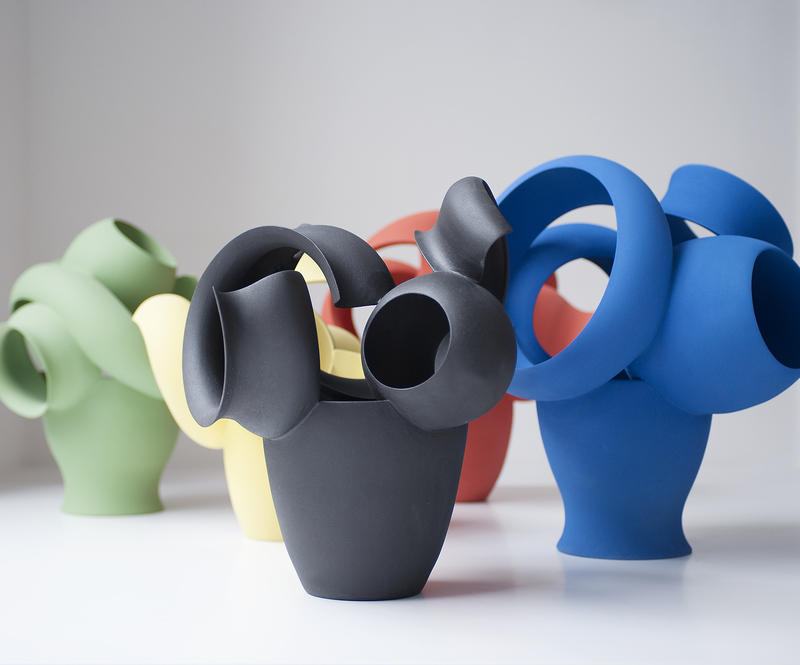 Living with ceramics, Wouter Dam (Personal show 2009), Wouter Dam (Personal show 2013).